The goal of Shalibeik IP is to offer our clients the best possible service in all areas of intellectual property law, thereby always keeping an eye on costs. We set a high value to a close cooperation with our clients. Only a full understanding of the technologies and needs of our clients enables us to offer a targeted consultation. We are committed to a goal-oriented and entrepreneurial consultancy. For us, a high standard of quality, service, diligence and punctuality rank top while taking care of IP rights. 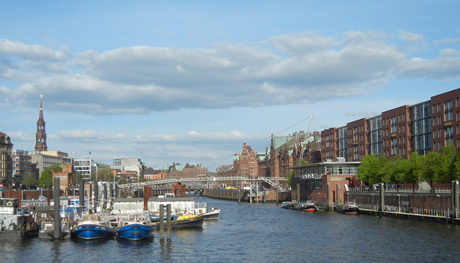 Hamburg's economic structure is dominated by the service sector and, further, Hamburg is an important industrial center. A huge part of imports of goods from overseas reaches Germany through the port of Hamburg, the largest seaport in Germany and the second largest in Europe. The Iranian economy is largely centralized and Tehran plays the lead role in the Persian economy. Companies that have gained a foothold in the European or German market, mostly want to explore new opportunities and thereby comprehend the Iranian market as a new opportunity. Through our extensive knowledge of Iran, the Persian mentality and culture we are happy to use our expertise to support companies in successfully establishing their business permanently in the Persian market. We have the opportunity to offer our clients the services they need and represent their interests before patent and trademark offices as well as before courts in Europe, Germany and Iran. In addition, we can represent the interests of our clients worldwide as a one-stop-shop.